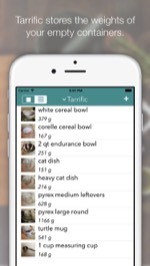 Store the empty weights of the most commonly used bowls and dishes in your kitchen in Tarrific. 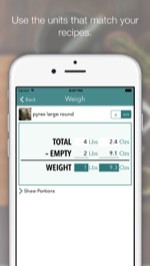 When you need to subtract out the weight of a container, Tarrific does the work for you. Want to divide your ingredients into equal portions? Tarrific can help! 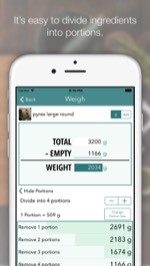 Just enter in the number of portions you need, or the portion weight, and Tarrific will help you remove just the right amount each time. No more uneven cookies, or running out of muffin batter before you've filled the last one! 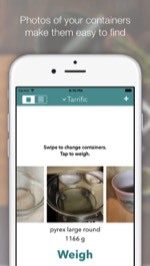 Tarrific is a universal iOS app that runs on all devices. If you use split-screen on a newer iPad, Tarrific can run right next to your favorite recipe app. 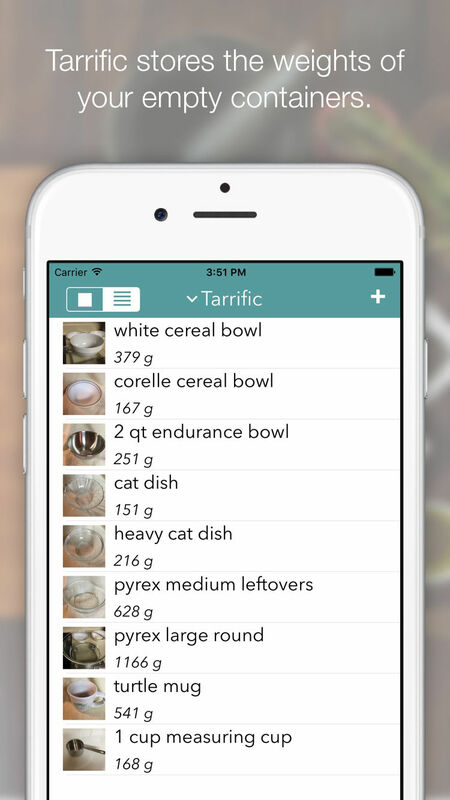 Try Tarrific today - you'll wonder how you ever cooked without it!